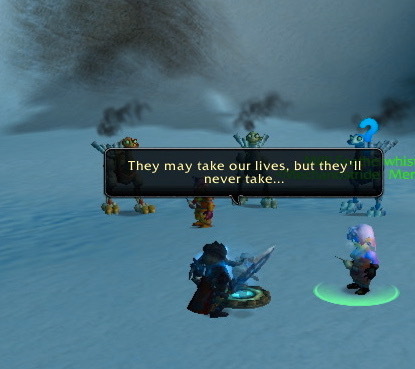 This is my final blog in the series about Operation Gnomeregan. It was the pre-Cataclysm event for Alliance players. My blogs focus only on the quests in this event that low level Alliance players could access. 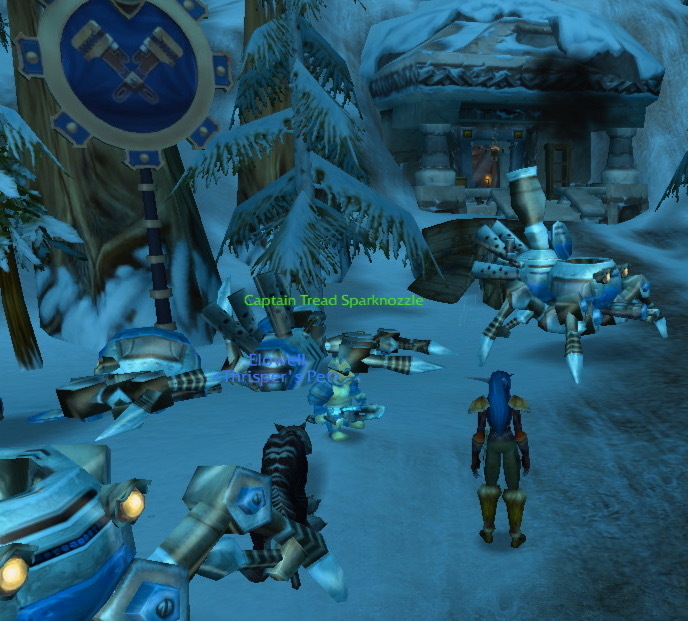 The previous blog focused on a quest called “Vent Horizon”, which had players getting into a “Thunderflash Flying Machine” and tossing “Radiageigatrons” at Gnomeregan. This blog focuses on the next quest, “Prepping the Speech”. The screenshots you see in this quest were taken on September 9, September 20, and September 24, 2010. This blog is part of my series about the Operation Gnomeregan event. It was the pre-Cataclysm event for Alliance players. My blogs focus only on the quests in this event that low level Alliance players could access. The previous blog walked you through the “Basic Orders” quest. When you finish it, turn it back in to Captain Tread Sparknozzle. He will give you another quest called “In and Out”. The screenshots you see in this blog were taken on September 7 and 24, 2010. The previous blog focused on parts of the “A Few Good Gnomes” quest. This blog picks up with the next quest, which is called “Basic Orders”. The screenshots you see in this blog were taken on September 7 and 24, 2010. 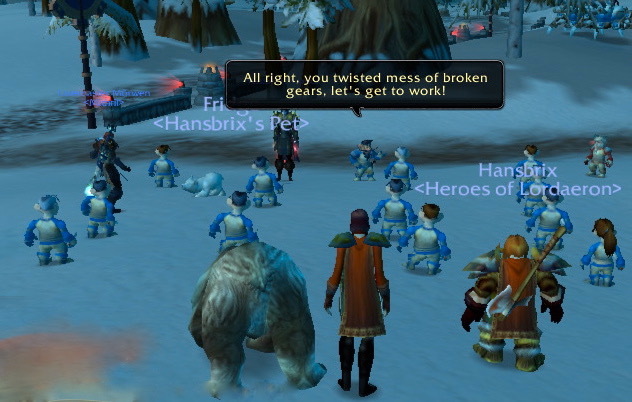 Operation Gnomeregan is the pre-Cataclysm event for the Alliance. 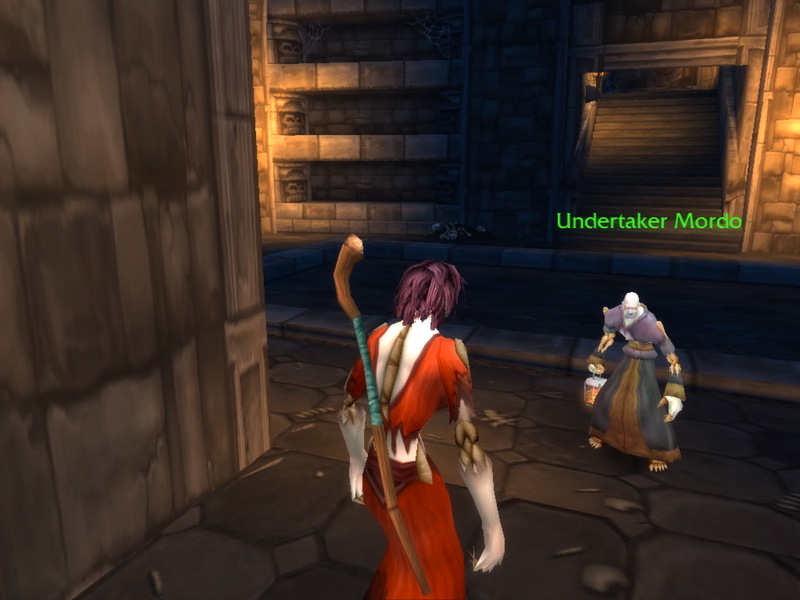 In this series of blogs about the event, I will review the quests that low level Alliance players had access to. The screenshots you see in this blog were taken on September 7, 2010. 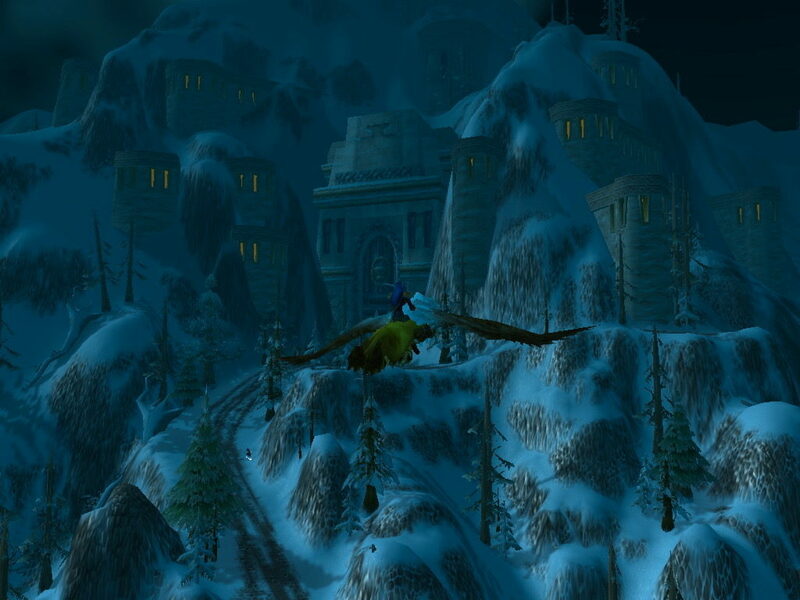 To start doing the Operation Gnomergan event, you need to head to Ironforge. The very first quest is called “A Few Good Gnomes”. I heard that the Forsaken starting zone was going to change after Cataclysm. That was a good enough excuse for me to roll a brand new little Forsaken and check out the current starting zone for that race. I didn’t have a Warlock yet, and that seemed like a fun class for a Forsaken character to be. Vivisade got her name from the random name generation. The screenshots in this blog were taken on September 5, 2010.